These days VPNs are more likely to be installed on portable devices than on home networks. Some problems can surface when connecting to a VPN from a notebook. SecurityKISS gives users some tips for troubleshooting VPN connections problems on these devices. Most people spend more time on the Internet when they are out than when they are at home. This is for two main reasons. Most people do not have a lot of time for surfing when they are at home doing chores or resting. And most people also have more events and experiences to share when they are out of the house. So, the majority of people go online when they have extra time on a commute, over lunch, or are out with friends and family. This means that they are using portable devices like smartphones, tablets and notebooks. Some VPN solutions can be complex, and not all users are familiar with VPN connections or are prepared to deal with them. But users should not give up on connecting to the Internet through a VPN, SecurityKISS warns. Before giving up on the connection, they have a few simple troubleshooting steps that can help users find out what’s wrong and fix it. Using a VPN to connect to public Wi-Fi or other unknown networks is very important. The VPN is often all that stands between users and the dangers of the open Internet. There are many hackers lurking there waiting to steal from unsuspecting surfers. In addition, advertising company data mining and government spying has become the biggest threat to user privacy. If you are using software from your VPN provider and you cannot get connected from a home network, SecurityKISS recommends checking your firewall. It may be set to block access from programs, including your VPN software. Firewalls are there to block viruses and malware that may be masquerading as legitimate programs. 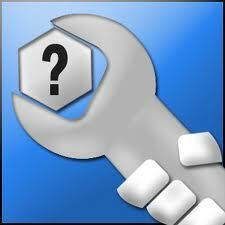 General settings on your firewall may therefore prevent all unknown programs from accessing your network. Check that the VPN is allowed through the firewall and try to reconnect. Your network may also then be set up to allow only the ports in the firewall that are needed for access. The most common allowed or open ports are port 80, which is the default HTTP port for common Internet browsing, and port 443, which is the HTTPS port for SSL-encrypted data transmission. But some VPNs like IPsec, for example, use additional ports to connect. You may not be able to connect because all but ports 80 and 443 are blocked. If you do not know what port to use for your IPsec VPN, contact your provider for their recommended port and add it to your settings. If you are using an Internet connection at a hotel, airport, or similar location, the hotel network may be blocking all but the necessary ports. You cannot change the allowed ports on these connections, so you will not be able to connect using an IPSec VPN. SecurityKISS recommends using an SSL-based VPN if you need to connect from these types of locations. SSL VPN connections use HTTP port 443 to establish a VPN connection, and some can even use port 80 to send encrypted data if necessary. Similarly, on an office network, only the ports needed to access the enterprise network are open. If your firewall is set to allow the VPN connection but it still does not work, SecurityKISS suggests checking the address that you have entered on the VPN settings. Your provider should have given you the IP and other details to enter upon setup. If you do not have these, contact your provider to learn what settings you should enter. Most up-to-date providers will have the details pre-configured into the software. If you have made changes to any settings, try setting them back to what they were before. If this does not work, restore the setting to the defaults. Make sure you make a note of all the existing settings before you make any changes. If you are trying to connect to the office network, there may be conflicts between it and the “foreign” network you are on. This happens because there is sometimes not enough IP addresses to go around for each device that needs to connect to the network. IPv4 introduced four billion IP addresses, but when private Interned addresses came out, the conflicts emerged. Private IP addresses are anonymous on the public Internet, and so they are not globally unique. You may be facing a situation where the private IP address that belongs to the foreign network, or the hotel, café, et cetera that you are connecting from, is the same as the private IP address that comes from the enterprise network you are trying to connect to. What happens here is that your device can’t determine where to send your data packets, and vice versa. Because of this confusion, the VPN tunnel cannot be established. To avoid this type of conflict, SecurityKISS suggests choosing a VPN package that uses dynamic NAT (Network Address Translation). Dynamic IPs will not give you this problem because the VPN can search for an IP address range that does not conflict with the Internet addresses of the foreign network. SecurityKISS reminds users that keeping up with the latest in remote access and IT security can help them avoid connection issues, and help them identify and solve any that crop up. Stay connected to your provider to get the latest news and updates. If you are just now searching for a VPN solution that meets your particular connection needs, please see our list of top VPN providers to get an idea of the available packages. There are several different combinations of VPN protocols available to meet specific user needs.